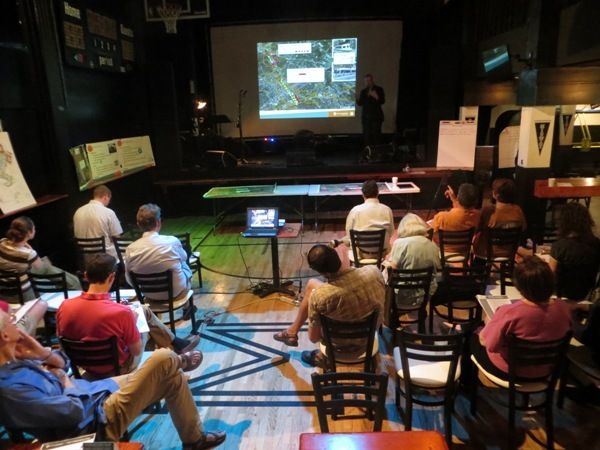 At April 12th “public workshop”, attendees watch presentation from Project Connect Urban Rail Lead Kyle Keahey. Photo: L. Henry. Prior to the event, I prepared a number of questions I would like to have answered. I also disseminated these among other Austin public transit activists. My questions are presented below, followed by feedback — some of it troubling — that I was able to receive from Project Connect personnel. 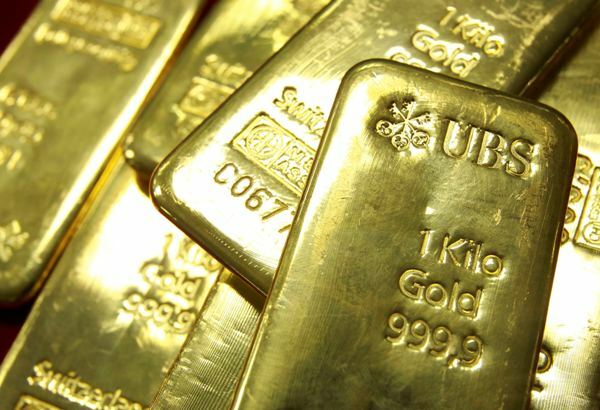 • Why are the public (who are expected to vote ultimate approval) being allowed only these rare, occasional, highly constrained opportunities to review and select from a narrow assortment of choices determined by the Project Connect team and officials? Why aren’t the public, through an inclusive community-wide technical committee, being given the opportunity to be involved in reviewing the basic data, interacting with the consultants, and formulating the choices themselves? One Project Connect representative seemed to recognize the value of “an inclusive community-wide technical committee” in broadening the pool of possible alternative solutions to challenging issues. He suggested that names of possible candidates for such a group could be forwarded to him. • Why is Project Connect still going through the motions of a purported high-capacity transit “study” to determine alignment and mode, and seek CCAG and Council approval for an LPA (Locally Preferred Alternative), when it’s already submitted $1.6 billion of URBAN RAIL projects for inclusion in CAMPO’s 2040 plan — including $275mn already projected for an initial route to Hancock to open in 2020? 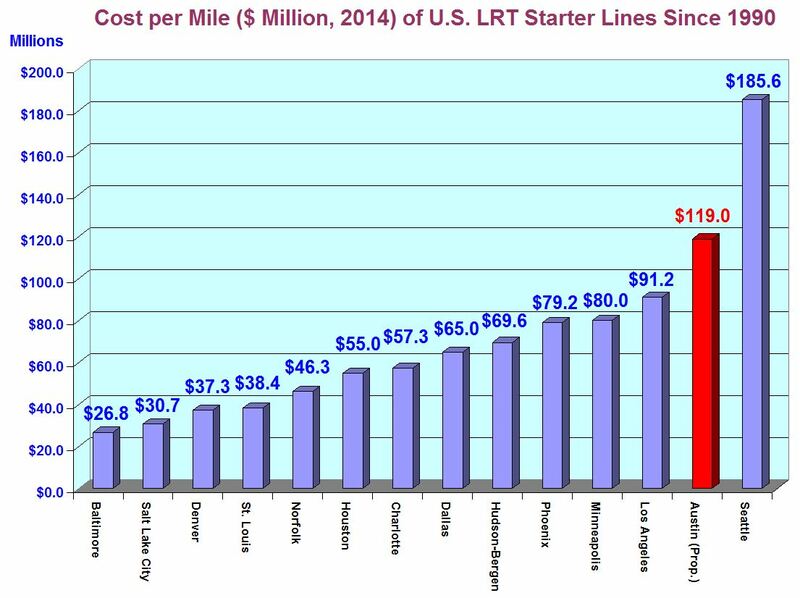 If URBAN RAIL and its details are already a foregone conclusion, why is taxpayers’ money and the time and effort of CCAG, the City Council, and other bodies being wasted on this? A Project Connect representative’s explanation (consistent with arguments already reported in a newspaper account) was that the “urban rail” data were submitted as “placeholders” in CAMPO’s preparatory process for its 2040 regional transportation plan. 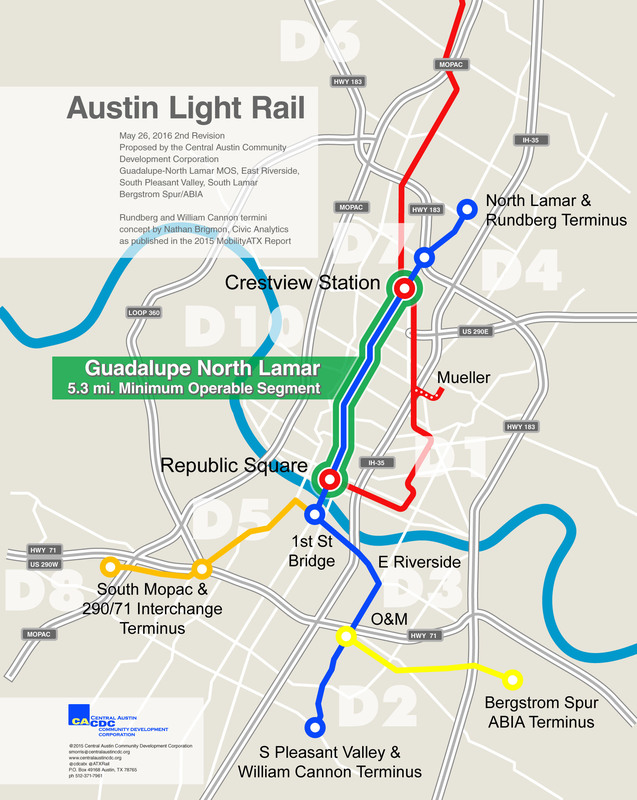 However, since Project Connect has supposedly “zeroed out” its previous urban rail plans for central Austin, and within the current “high-capacity transit” study process no mode or specific alignment has yet been formally determined, why were specific “urban rail” projects inserted as “placeholders”, and not a more generic “high-capacity transit” designation? “That’s a good question” was the response. The dollar amounts were described as mere “updates” of previous Project Connect cost estimates from approximately 2012. But at that time, no “Hancock-Highland” route was planned, so where did the $91.4 million cost for this segment come from? This was “another good question”. • Why is $190mn in “BRT” infrastructure being proposed for Guadalupe-Lamar? Won’t this be a barrier to future urban rail? Including $12.9 million allocated to “BRT” infrastructure on Guadalupe and Lavaca, the total for Guadalupe-Lamar “BRT” amounts to $202.9 million. A Project Connect representative was unable to say what specific infrastructure items this included, nor whether these would present a physical barrier to future urban rail. 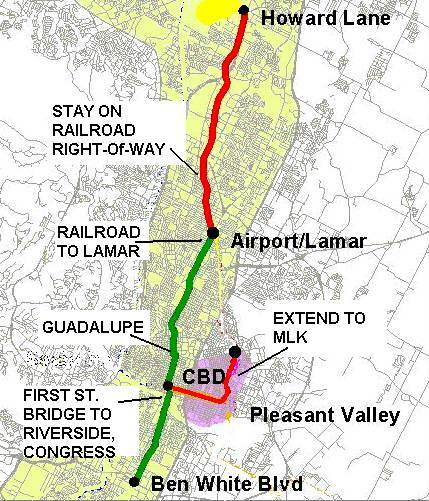 • Why is a Guadalupe-Lamar route omitted from the $1.6bn urban rail submission to CAMPO’s 2040 plan? I didn’t have a chance to raise this question directly, but a Project Connect representative insisted that urban rail as well as “BRT” and possibly other modes would be evaluated for future needs in this corridor. • Why is this plan proposing a slow, tortuous, meandering route from downtown, the least active part of the UT campus, and Hancock Center, to ultimately reach Highland/ACC? Where’s evidence of the travel demand in this route? 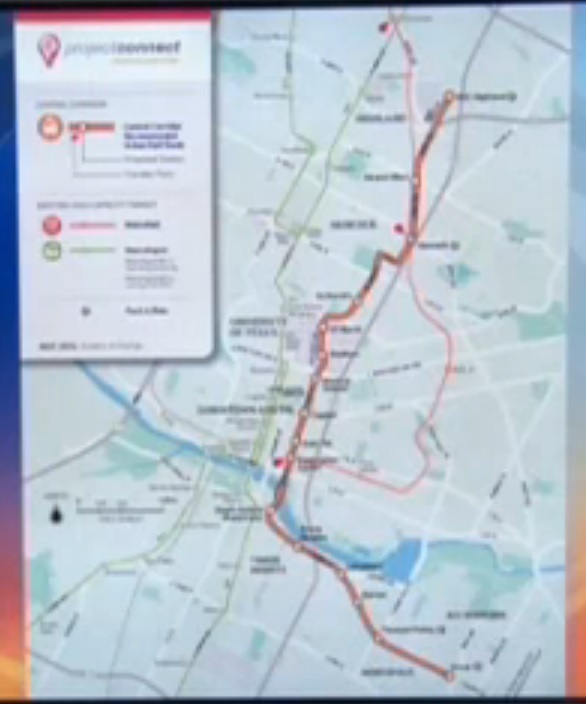 Does this route carry as much travel as the Guadalupe-Lamar corridor? 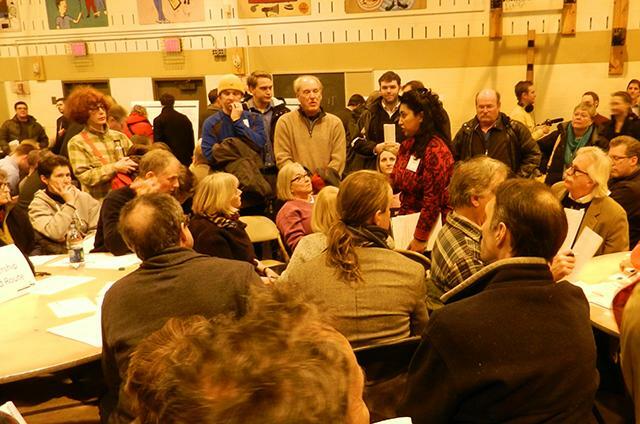 The basic responses from a couple of Project Connect personnel at this event seemed to be that the situation has changed since the original “straight and simple” urban rail route in the Lamar-Guadalupe-South Congress corridor was proposed in 2000. Issues of comparative travel demand and ridership weren’t addressed by the personnel. However, several Project Connect representatives seemed to regret that official attitudes no longer favor shifting existing street (and bridge) space from motor vehicle traffic capacity to urban rail. • What’s the ridership projected for this route? (Wouldn’t that be considered in the decision to submit this to CAMPO?) How can Project Connect claim that this route would have more ridership than the 30,000+ daily ridership previously forecast for the Guadalupe-Lamar route? A Project Connect representative emphasized that ridership figures for the current proposed line will be forthcoming. But Project Connect representatives seemed to regard previous assessments of the potential of urban rail in the Guadalupe-Lamar corridor as a moot issue. • Why is a new $75mn bridge proposed to cross Lady Bird Lake, when either the Congress or S. First St. bridge could be retrofitted for urban rail at half the cost or less ($23-36mn)? Project Connect Urban Rail Lead Kyle Keahey indicated that the option of retrofitting one of the existing bridges was presented to the Central Corridor Advisory Group (CCAG) but was rejected by the group. Accordingly, it has not been pursued further, so the only option has been to propose constructing a totally new bridge. I pointed out that current officials and selected civic leaders in the CCAG and Transit Working Group (TWG) seem to have adopted a position that retrogresses from the general consensus of 2000 that traffic lanes in streets, arterials, and bridges should and would be reallocated from general traffic to rail transit. 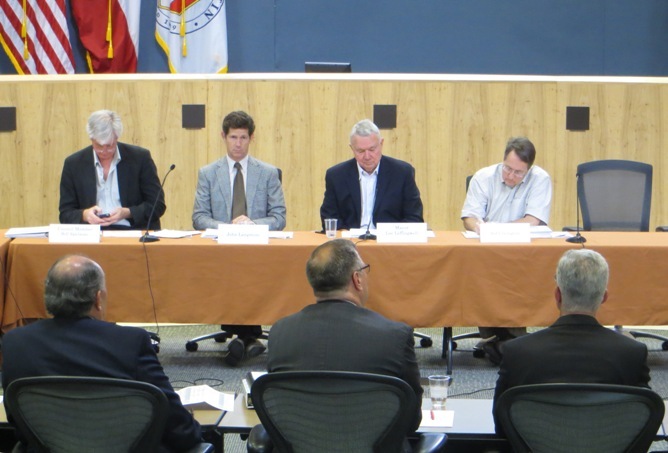 Thus, Austin’s leaders appear to have taken a big step backward in their mindset. 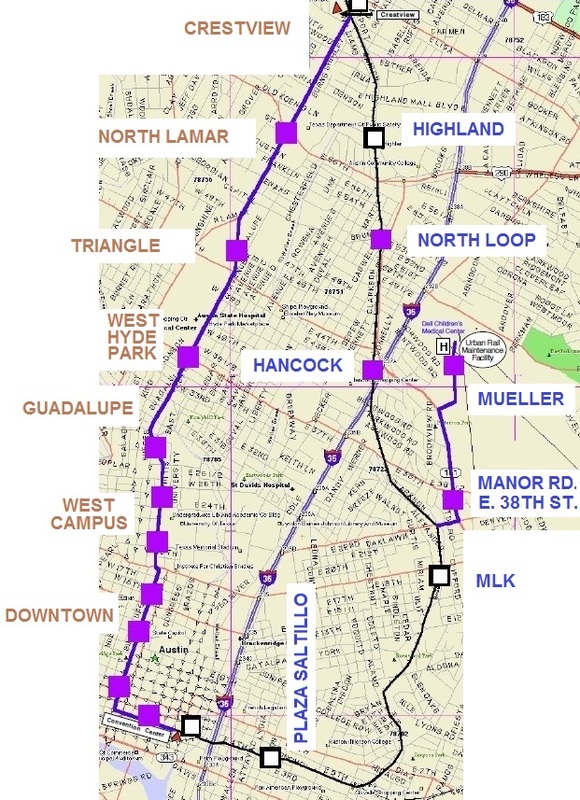 According to a couple of Project Connect personnel, because Capital Metro is converting MetroRail to full compliance with Federal Railroad Administration (FRA) heavy rail standards, the unfortunate (and disputable) assessment of Project Connect planners is that urban rail can no longer cross this line at grade, unlike general traffic. This has not specifically been discussed with either FRA or the Federal Transit Administration (FTA), but Project Connect doesn’t want to get involved with the FRA over this. 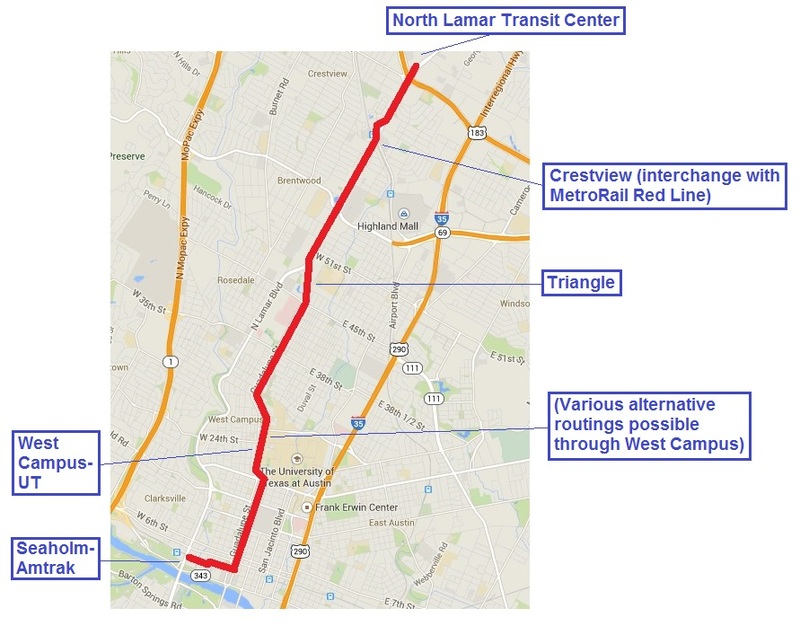 This also means that, according to Project Connect, urban rail will not cross the MetroRail line at grade either downtown or on North Lamar. I pointed out that this now encumbers any urban rail plan with an extra liability of tens of millions of dollars for constructing grade separations at any future crossing, but Project Connect and civic leaders now seem to exhibit an unfortunate willingness to accept this. The “Highland” urban rail route plan now includes options for tunnels with a cost range of $230 to $290 million for urban rail to access the north side of the MetroRail line and reach Airport Blvd. This would seem to push the total cost of just the downtown-Hancock-Highland/ACC segment close to $600 million (roughly $275 million + $90 million + $250 million). As I pointed out to several Project Connect representatives, this entire “study” process (post-2004 through the creation of the Project Connect consortium) has resulted in morphing from a simple, relatively straight, affordable surface urban rail route through central Austin’s major activity centers and highest residential densities, with no need for any major civil works, into a meandering, convoluted, complicated route serving more marginal activity centers and less density, and requiring vast expense to build bridges and tunnels. 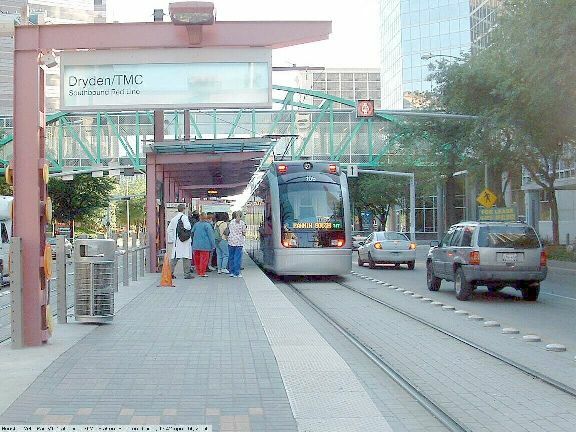 Urban rail (light rail transit) route proposed in 2000 was much straighter, simpler, cost-effective, and affordable, with no major civil works — and it served central Austin’s heaviest travel needs and highest population density. 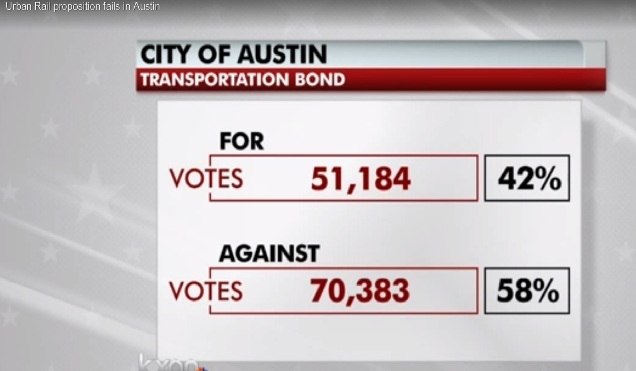 Project was approved by majority of City of Austin voters, but ballot measure very narrowly (<1%) failed in Capital Metro service area as a whole. Map: Light Rail Now library. This seems to be the result of errors that are built upon previous errors — in a sense, a process whereby Project Connect is simply digging itself (and the Austin community) into a deeper and deeper hole. 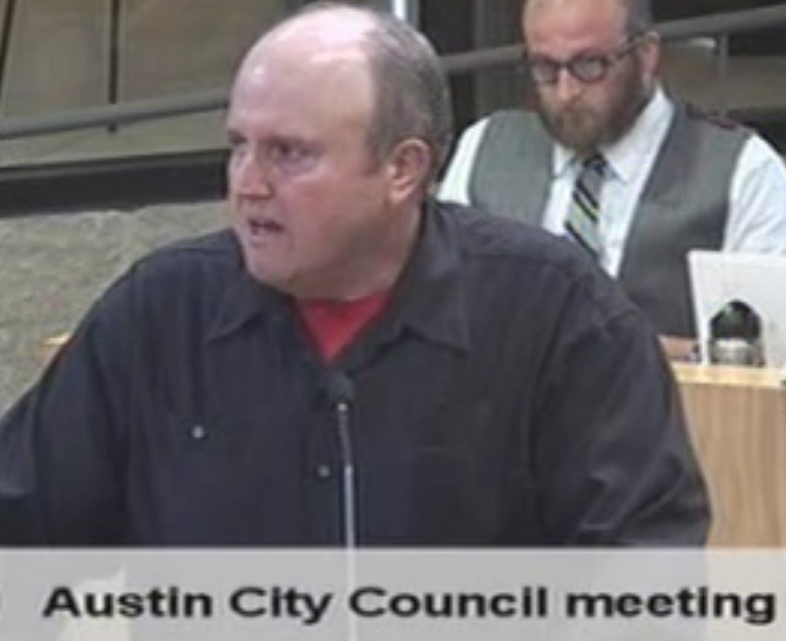 Perhaps they’ll begin to understand why I and so many other advocates of public transportation expansion in Austin have become so disgusted not only with Project Connect and its process, but also with the proposals that are emerging from it. 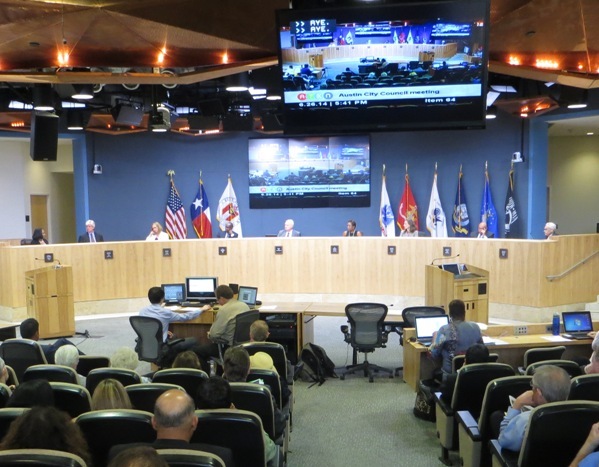 Apparently under pressure from City officials and various civic leaders, the Project Connect process unfortunately also seems to have departed from the goal of seeking a cost-effective, affordable urban rail network for metro Austin. 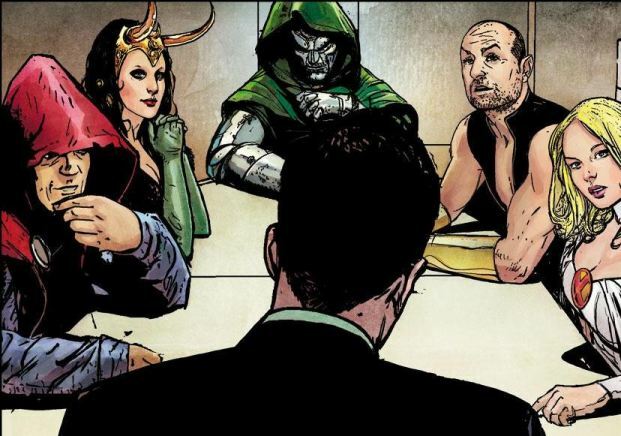 In addition to the other revelations, this was indeed very disturbing. Ideally, the entire Project Connect process would be “reset” back to zero, and a totally new process, embracing once again this goal, would be re-launched. Possibly, a rejection of Project Connect’s plan and quest for bond funding in November by voters would lead to such a “re-boot” of the urban rail planning process. Otherwise, if this approach to rail development goes forward, it would certainly seem that future rail transit infrastructure expansion in Austin would be severely constrained by the legacy of bad past decisions and design criteria that impose very heavy cost encumbrances.